This hearty Pasta e Fagioli soup with pancetta, vegetables & white wine is perfect for chilly nights. Pasta e fagioli — literally “pasta and beans” — is a heartwarming Italian soup, perfect for a chilly night. 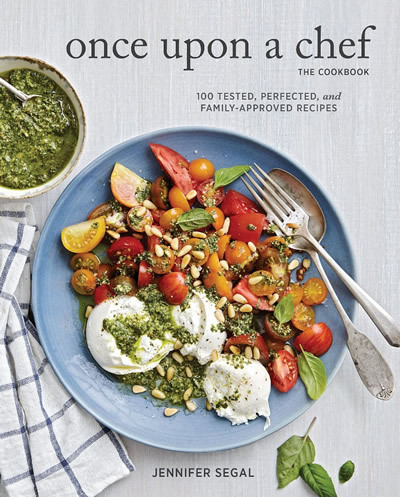 There are countless recipes but this one, given to me by my dear friend Tracy Santoro and adapted from Chef Joe Cicala’s recipe in the The Washington Post, is the best I’ve tried. The base of the soup is made with pancetta, vegetables and white wine, which add tremendous depth of flavor, and the broth is thickened slightly with puréed beans, which makes it rich and satisfying. Serve it with Rosemary Focaccia and a Big Italian Salad — I promise, it will warm you up and make you happy! Before we get started, a few words about the ingredients. Pancetta is simply Italian bacon. Instead of being smoked like American bacon, it is cured with salt and spices and then dried. You can find it in the deli at most supermarkets or precut and packaged in the refrigerated gourmet foods aisle, which is a great time saver. For the wine, be sure to use something inexpensive but still good enough to drink (no supermarket cooking wine!). Since the recipe only calls for 1/2 cup, feel free to use one of those mini bottles sold in packs of four — they are great for keeping on hand for cooking. For the lentils, I prefer French green lentils (or lentilles du Puy) because they hold their shape when cooked (you can always find them at Whole Foods) but if you can’t get them, any brown or green lentils are fine. Begin by heating the olive oil in a large pot. Add the pancetta and cook until the fat begins to render, about 5 minutes. Add the onions, carrots and celery and cook until the onions become translucent. Pour in the white wine and cook until almost evaporated. Next, add the broth, salt, pepper, beans lentils, tomatoes, bay leaves and rosemary. Then reduce the heat and simmer until the lentils are tender, 20-30 minutes, depending on the type of lentils you used. Use a slotted spoon to transfer about one cup of the beans and a little broth to a blender. Purée until smooth and set aside. Meanwhile, add the dried pasta to the simmering broth. Cook until the pasta is tender, then add the reserved bean purée back to the pot. The broth will be slightly thickened from both the pasta starch and the bean purée. If the soup seems too thick, thin it with a bit of water. Stir in the Parmigiano-Reggiano. Ladle the pasta e fagioli into bowls. Drizzle with a touch of olive oil and sprinkle with more cheese, if desired. Enjoy! This soup is by far my favorite – as I’ve said before you are a very talented Chef. I did make only one substitution – instead of pancetta, which I am not a huge fan of, I used a thick cut of hickory smoked bacon. This recipe is absolutely wonderful with a simple salad and a nice Italian bread. Preferably a Tuscan Boule. Thank you once again for making soup decision easy! Yum yum! I made this soup this week, after having it at my daughters a while back….we are BOTH big fans! It made a lot, and I took it to a friend who just had surgery….she loved it too! One easy way to keep the soup from absorbing all the liquid from the pasta is to keep the pasta ( cooked) in a separate container, and add it to each bowl. I do this with the rice noodles for the thai chicken soup, and they keep quite well for several days….if your great soup lasts that long! I served it with Parmigiano Reggiano, crusty Italian bread and my go to Italian style salad with olives, red onion, oregano, red wine vinegar & Evoo. I’ll be making it again for sure. Pasta e fagioli is one of my Italian favourites. I have tried quite a few recipes over the years and this one is, buy far, the best for me. This was excellent and easy. I did put the whole can of tomatoes in and the rind of the parmesan for additional flavor. The leftovers were terrific and lasted for 4 days – even with the pasta in it – and microwaved just fine. I did freeze about two servings for later when my kitchen is all torn up. Thanks for another great recipe!, Jean! Jenn, Made the soup this morning and couldn’t wait to try it. Absolutely delicious. Since the Fagioli is this evening’s dinner menu, is it better to make the pasta separately and add when warming up the soup. I have already added the pasta to the soup but wonder about the next time I make it. I was going to make your focaccia to go along with the soup, but have only 2 cups of white flour left. Can I use wheat flour to supplement this recipe or wait until I replenish the white? Hi Gen, yes, if you’re making this soup ahead, I would suggest cooking and adding the pasta before serving it so that it doesn’t get mushy and soak up a lot of the broth. And regarding the focaccia, I do think you could get away with using the white flour you have left and supplementing it with wheat flour. The texture maybe a little bit different, but it will still be good. Hope you enjoy the meal! This was lovely. I purchased the cheese but forgot to add. Am sure it would be wonderful, but if you are counting calories you could omit. I am going to make it again this week we liked it so much. I am a “very” slow cook so my only comment would be that it took me probably 30 minutes versus 15 minutes prep time. Will become a regular in my rotation. This is by far the best pasta e fagiole recipe I’ve ever tried. The only thing I added was a heel of parmesan reggiano. Any of your recipes I’ve tried have always been crowd pleasers in our house. Thank you Jenn!! Made this today, really delicious and easy. Didn’t have pancetta but still very good without it. Have leftovers for the weekend. Will add cooked macaroni as the soup was very thick already. Only had red wine, so added a splash instead of the 1/2 cup of white wine. Made your beef stew too and will enjoy it tomorrow. Love your blueberry and strawberry muffins too. Made this for supper with friends. This was easy to make & enjoyed by all! The kind of cooking I like to do & with results I appreciate, thank you! I made this recipe yesterday (2/19/10). Even though I had not made it before, I decided to make a double recipe. I made it for my daughter’s family, my son, and for my self. It was very wonderful! I will be making it again! Thank to Once Upon a Chef! I made this soup tonight and it was amazing! I wouldn’t change a thing. 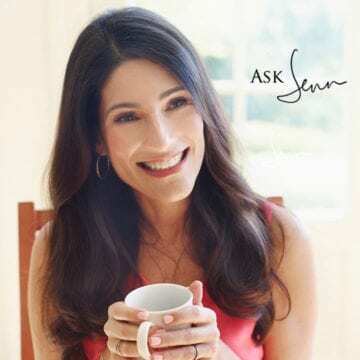 I love Jenn’s cookbook and website because the recipes NEVER fail. They are legitimately tried and tested which is awesome. There’s something to be said for being able to trust what you read! LOVE this soup as the recipe is written, but wanted to let everyone know that the vegan version is also outstanding! I was entertaining and needed a vegan soup, so I combined the suggestions of several other reviewers. I omitted the pancetta, used vegetable broth, cut the broth by 2 cups initially and then added a bit more at the end to make it exactly the thickness that I wanted, which was a little thicker than the original recipe. I served it with the focaccia recipe from this site and a simple green salad. It was a tasty (and simple!) meal for good friends. This recipe is excellent for meat eaters and easily modified for vegans! Thank you Jenn! I made this for dinner tonight, my husband and mother loved it❤️❤️❤️ Thank you so much for sharing your wonderful recipes Jenn! Was looking for something warm and hearty in a pinch! Of course Jenn, you are always my first stop and usually my only source of meal success!!! I prepared this dish as you suggest and it was complete perfection!! Adding to this to my winter repertoire!! Silly question, but what is the difference between using broth & stock? Does it affect the dish in any noticeable way? I normally have stock on hand. Either one is perfectly fine here – enjoy the soup! I’ve made this twice – so good! All my guests loved it! A great blend of flavors. The family loved it. It is enjoyable as a snack or a hearty meal. This recipe is very good! I had everything in my pantry except for pancetta, so I substituted Portuguese sausage. Otherwise, I followed the recipe exactly as Jenn wrote it, and it was a winner. Everyone had seconds, and a couple guests had thirds! It is going to become one of my go-to recipes this winter. Absolutely delicious, my family loves this recipe- including my children. I have made this a number of times. I’ve used regular bacon when I didn’t have pancetta on hand. Perfect winter soup recipe! Takes a while to go through all the steps, but the result it worth it. Lovely soup, will definitely cook again! This soup is scrumptious and perfect as written. I had to check the site again to be sure that the med. low for the pancetta was still correct. Just curious: what’s the purpose of cooking at low/slow? Assuming the idea is to not crisp it up and to more caramelize it? Just seemed like it wasn’t doing much in the pan after several minutes and hot oil before I added it, so I turned the fire up a bit. Last (the firsst) time I made this (last year), it turned out nice and rouxey gravy looking like in the photo, but this time it was more chicken soup looking. Thought maybe the browned bits from the pancetta would have done that, which I didn’t do this time? Just curious (more bugging me) whether I should cook the pancetta to more of a crisp next time? Was still delish, as are the other recipes of yours I’ve tried. Gonna buy the book! Hi Derek, glad you like the soup! There’s not really a reason behind why I suggest cooking the pancetta on a medium-low heat. The pancetta is just intended to add flavor and doesn’t impact the texture of the soup at all. Hope that clarifies (and that you enjoy the cookbook if you purchase it)! Thanks Jenn. So nice that you respond to questions. One suggestion I have for this soup (or any calling for pasta) for those who are planning on eating some as leftovers is to not add all of the pasta at once. Mine sucked up all the yummy broth when I went to re-heat it a couple days later, which was very very sad 🙂 Since it’s usually just the two of us, next time I’ll put the portion of soup up to the point of adding the pasting we’re going to eat that night in another pot and then add the pasta and repeat for just that portion, then finish the soup as written…next time, just repeat after reheating. I’ve made this twice and craving it again. Also, I like to add a parmigiano reggiano rind I always save/freeze to the soup (towards the end of the veggie sauteing stage). Add’s even more wonderfulness. I finally bought your book…lovely. Your recipes rock….every time! This was one of the top three soups I’ve ever made. While I was making, I was thinking…this seems all kind of normal BUT as Jenn mention, the complex flavors of everything melded together is exquisite. I pretty much followed recipe to a tee….but I did add liquid with beans when blending at the end as easier to remove from blender container. And added a bit more pasta as we like a thick soup. Simply delicious. what can i sub for the pancetta? Hi Shelina, Bacon would work well. delicious as is. I did not change a thing. Great recipe to have on hand for lunch or a casual supper. Hi Fred, To make enough to feed 25, you’d need to multiply the recipe times 6 or 7. Hope everyone enjoys! We love this recipe! We’re vegetarian and I replace the pancetta with about ½ to 1T of miso paste that I stir into the broth. It gives it such a full, flavour. Just a trick I’ve picked up, for any other veg’s out there. Thank you for this tip. I’m making this recipe for vegetarian friends. Does anyone have favorite brands of vegetable broth? I find it’s not my favorite taste, but perhaps with the miso it will be better. Imagine Foods has a “No Chicken Broth” that I use all the time as a substitute for the real thing. It’s vegetarian and has worked perfectly in all the soups I’ve made. This soup was delicious and even my daughter in law who doesn’t like beans loved it. I didn’t have pancetta so I substituted finely chopped prosciutto and it turned out wonderful. Thank you again for all of your great recipes. Great recipe. I replaced some left over baked chicken for the pancetta and sauteed the pieces in the olive oil and still very good flavor. We enjoyed it for a winter evening. Excellent! Would definitely make again! I have always loved Pasta e Fagioli soup in restaurants but never attempted to make it at home until I found your website. This is a new favorite in our house. Instead of using prepackaged stock, I used homemade stock and kept the beans whole. Your recipes have given me the courage outside of my comfort zone, when it comes to cooking. This soup recipe was perfect as written. I made it and brought it to work for my turn in the weekly soup potluck. Will be in my rotation of soups, which I absolutely enjoy making! Fabulous soup!!!! Perfect winter supper with bread and salad! Thank you for such a great recipe! This is one of our “go-to” Winter soups. I follow the recipe, use Pancetta if I have it, blanched bacon if I don’t. I drain and thoroughly rinse the Garbanzo & Cannellini beans, as my wife is sensitive to indigestible bean carbohydrates in the juice. I use a whole can of diced tomatoes, rather than a cup, as I don’t want left-over tomatoes. And I use dry vermouth as the white wine. Whenever a recipe calls for white wine, I always use vermouth — keep a bottle by the stove. I like to use whole wheat pasta (small shells or elbows), and French green lentils. Like I say, one of our “Go-To”. Chef Segal has so many great soups & this is one of our favorites. Thanks Jen! Good call on the Vermouth. Going to try that next time. This was loved by all in my family. We don’t eat pork, so I substituted 2 Italian chicken sausages removed from their casings, but otherwise changed nothing. The soup was much thicker the next day and still very delicious. I’m making it again tonight! The layers of flavor in this soup are amazing, and it was easy to make. I followed the directions and ingredients exactly, except I used Pecorino Romano cheese. My husband loved it, I’ll definitely be making it again! Looks so good! Up to what step can I make this in advance and store in fridge? I have company coming on a working week night. Hi Debbie, You can make it all the way through but leave out the pasta. I’d cook it separately the day of and add it right before serving; otherwise it will get mushy. Hope that helps! I made this on a recent cold day and it was great comfort food. I left out the pancetta (to make it healthier and less expensive to make) and it was still full of flavor. The Parmigiano Reggiano really adds some yummy goodness. I will definitely keep this recipe in my soup rotation. It is great with some warm bread! Hi Judith, It sounds like you are just looking at the portion of the page that has the pictures with some instructions underneath. If you scroll down a bit to under the pictures, you’ll find the full recipe. Alternatively, at the very top of the page, you can click the “recipe” button right under the recipe title. Hope you enjoy the soup! Oops! Thankyou. Making it today. My mother in law is famous for her Pasta “Fazool” – everyone in the family loves it so I have never even tried to duplicate hers but I came across this recipe and felt the need to give it a try! I was nervous that my husband wouldn’t like it as much as his mother’s but it turns out – he liked it more!!!! (We won’t tell her that!) This recipe was easy, healthy and perfect for any day of the week. I omitted the lentils as my husband is allergic and used ditalini instead of the elbows. Absolutely delicious!!!!!!!! So happy to have found this recipe. Another great recipe! This soup was delicious – such depth of flavor. The best Pasta e Fagioli I’ve ever tasted. Ohhhh typo, should say NEVER failed me!!!!! My family absolutely loved this soup and I will make it again and again. I live in rural MN so I often use what I have on hand instead of making a special trip to the grocery store. Changes I made were using bacon in place of pancetta and I didn’t have any white wine. Jennifer, I can always depend on your recipes being successful. I can’t wait to get your cookbook into my hands!! Can I use dry northern beans in place of canned beans? Yes, Nancy, you can; I would cook the beans first as they wouldn’t have time to soften enough in this recipe. Enjoy! Yes, Hana, it’s still be tasty – hope you enjoy! Delicious. I used one can of cannelloni beans and doubled the lentils. A perfect soup for a cold night. Thank you, Jen, for sharing your amazing recipes. lentils a still get the same great results? That’s fine, Anna – the lentils do add body to the soup but it will still be delicious without them. Wow. Finally a recipe that tastes good. Can’t wait to try with correct ingredients. Didn’t have green lentils & subbed to yellow split pea. Didn’t have a Rosemary lover in the family subbed with pinch of dried oregano & thyme. I love this soup. Looking forward to find more recipes from you. This is soup has wonder flavor – one of the best bean soups I’ve had. The wine and green lentils gives it a different twist. I like to cook my pasta separately so the soup was a bit runny. But no worries, just added 2 more cans of cannellini beans. Plus if you don’t want to use pasta, chop up some potatoes – has a wonderful flavor. Fresh rosemary is a must – I will definitely be making this soup again – home run!! How many medium white potatoes would I use instead of pasta? Hi Sarah, I’d suggest 1 – 2 small to medium potatoes, diced. Hope you enjoy! This soup is so flavorful, I love the fresh rosemary and the textures are perfect. It’s a nice hardy soup that doesn’t involve cream or really anything heavy. This will be a new go to for me in the middle of winter. Hi Paul, You could but you’d still need to go through the first few steps on the stovetop so not sure it’d be worth it. Sorry! Jenn, I make this all the time, love it and have reviewed it. Just took a pot off the stove and I have a question. Since I like to make soups ahead of time, even the day before, do I even need to puree a cup, as it thickens on its own? Hi Carol, I think it’s fine to leave it as is – this one does thicken up quite a bit after a night in the fridge. Enjoy! Very good. As with a few other commenters, I would highly recommend cutting back on that 1 tsp salt. I’ll do 1/2 tsp or little less next time. Pancetta adds enough. Also used immersion blender instead of regular blender before adding pasta. Although, do remember to fish out bay leaves first if you use the immersion. Defiantly the best soup recipe for our family. Even our pickiest eater enjoys this. When I don’t have pancetta, I use bacon, and I use barley instead of pasta for added texture and fiber sometimes. Makes a great meal with crusty bread with big salad. Thank you for your website for so many fantastic and flavorful recipes for our family to enjoy! This soup is delicious exactly as written. It’s perfect for a cold fall or winter night with some crusty bread. It also makes great leftovers (my husband says it’s better the second day). Wonderful recipe! Perfect soup for a cold evening. Very flavorful. I will definitely make this again. My family loves this soup recipe! I usually don’t do the puree step (more for time savings and to have a couple less dishes to wash). The soup still has great texture and taste. This recipe is amazing! The only modification we made was to cut back the salt by 1/2 during the cooking , then adjusting it at the end. Absolutely delicious! I passed this along to my daughter who has 7 children…it is their goto soup recipe now. Another winning recipe from Jenn!! The absolute best soup I’ve ever had. I cooked the pasta separate and then added to the broth. My husband said this is one of the top five things I make now. Thank you for this delicious recipe. This is a very tasty soup! We are a family of 5 and my kids are 6 yrs and younger and I always double so we will have left overs the next day. It can be salty- so I just omit the salt. The pancetta makes the soup salty enough. A family fave! I’ve made this soup many times, but this is the first time I’ve reviewed it. I have to watch my sodium intake, so am extremely careful to choose low sodium products. I use the lowest % chicken stock and tomatoes that I can find and always make my beans from dried rather than canned. It’s a bit more work, but worth it! All of Jenn’s recipes that I’ve tried are spot-on delicious. Ir’s nice to have a trusted source. This has quickly become my go to soup for the family. Everyone loves it! I occasionally add roasted chicken for a fuller meal along with some crusty Italian or French bread. I’m looking forward to making this for a group coming for dinner – around 12 people. Your recipe states only 4 servings, but it looks like a big pot. How much do you think I’d need to make for the group? I’ll also add salad & fresh bread. Thank you for your help! Oh, also what do you think about already cooked lentils? My favorite are sold air tight, and hold their shape well. Hi Cathy, you could use cooked lentils here but they obviously won’t need to cook for as long. Hi Cathy, If you definitely want to have enough for all of your guests, I’d make 3 times the recipe. You could make only double if the salad and bread will be hearty. Hope everyone enjoys! This is my 11-month-old’s favorite dish. Tonight she ate a full adult serving in complete silence–she was in the zone. It is so delicious for adults, too. I always leave out the pancetta and simmer the soup with a Parmesan rind if I remember. It takes well to substitutions–no rosemary, crushed tomatoes instead of diced, it is somehow always delicious. I love pasta fagioli but find so many variations and what I really love is the broth.. I don’t mind a few beans but plan to leave out the macaroni and the lentils unless you think it gives flavor. Thank you for this recipe; looks like what I have been searching for. Hi Linda, I would definitely encourage you to add the lentils as they add a nice hearty earthiness. If you want the soup to be more brothy, then omitting the pasta would be fine. Hope you enjoy! Tremendous recipe, will now always be one of my favorites! Kids loved it too. You did it again Jen. This soup is absolutely delicious. There is only two of us so we had plenty for 4 days. Just like fine wine, we think this even gets better with age. Thankyou once again for a superb recipe! Any suggestions on how to properly take advantage of this rind? Your cook book is on my Christmas wish list. Congrats on your accomplishment. Thank you, Chris! The women you know are right – adding it to soups is a great way to add flavor. Jennifer, I mad the pasta fagioli for dinner and I paired it up with your buttermilk biscuits. Great combination! Thanks for supplying more great foolproof recipes! Nope, lentils don’t need to be soaked. Enjoy! Thank you I am making it now but made it early so I don’t think it will matter if I let it simmer till I am ready to eat and than puree a cup of beans and than do pasta ? Hi Sandy, You could make this in a slow cooker but you’d still need to go through all of the initial steps on the stovetop, and it cooks pretty quickly so not sure a slow cooker would make sense for this recipe. That said, I would cook the beans first as they wouldn’t have time to soften enough in this recipe. Jenn – recipe looks fabulous. I would like to add one nice sausage link such as hot italian or chorizo. Would that work. Made this for the first time on the weekend and took a chance, based on the great reviews, and made a double batch so I could freeze several tubs. So, so, so good! I swapped the canned beans and lentils for a 10-bean mix bag, and it was a win. Everyone loved the smokey bacon flavour! My husband said it’s the best soup I’ve made ever! Will definitely add this to the ‘repeat’ list for sure! I made this for a dinner I was going to with a vegetarian so I left out the bacon, 🙁 but, that being said, it was still absolutely fabulous! We are a big soup eating family and this will be one of our regular meals for sure, but with bacon next time. Loved it!! Thanks Jenn! Delicious!! I follow the recipe as written and it’s perfect! This has become a winter family favorite! I made this for the second time tonight per my husband’s request, it is now one of his favorites. He went as far as to say that it is better than his Italian Nonna’s! Absolutely delicious. I do add 8 cups of broth at the beginning since I use lentils from Italy that require the soup to cook longer. Hi Albert, Go to the very top of the recipe page. Immediately under the recipe title, you will see a bar with a few options (Recipe/Reviews/Add Review/Print). Select the print button there. Hope that helps and that you enjoy the soup! Hi. My husband loves pasta fagioli and I am going to make this recipe. Only one problem. My son and I don’t like parm. cheese. Can you recommend a substitute or will it still be as good without it? Hi Cindy, feel free to omit the cheese, the soup will still be delicious. The cheese adds a bit of salt, so if you feel like you need to add a little extra salt, just do it to taste. Hope you enjoy! I love the look of this recipe, and would love to make it but I’m vegetarian. Could I use vegetable stock instead of the broth? But still stuck on a substitute for the pancetta? Would love to hear if you have a veggie alternative I could use. Thanks so much! Hi Aparna, You can use vegetable stock and just omit the pancetta. It’ll still be delicious! Finely diced? Could I possibly use my food processor? Hi P, a food processor would work, but you just want to be sure not to puree the veggies. Hope you enjoy! This my go to comfort soup and this recipe is full of flavor and taste. I loved everything about the recipe and wouldn’t change a thing. Excellent recipe. Followed it exactly and it came out great. Really good as leftovers although the pasta does get a bit mushy over time (unavoidable) but that didn’t detract from the great flavors. This is a wonderful comfort soup. Easy and quick to make compared to some other similar soups I’ve made. Definitely a keeper. I used the immersion blender and blended a bit more than the one cup, I just like a smoother thicker consistency. I love this recipe. So much better than the one with so much tomato base. Will make this again and again. I made this today for my family – let me say it got the thumbs up all around. We all loved it….thank you so much for sharing your recipes so that we in turn, can share with our families. Now…..off to make the lemon buttermilk pound cake. How much is ‘one cup’? Hi Jo, I see from your email address that you’re from the UK, so I’ve added metric conversions for the recipe. To view them, scroll down to the recipe and immediately under the recipe title on the right side, you’ll see a little toggle. If you move it from “cup measures” to metric, you’ll see measurements that will work for you. I made this tonight. Amazing doesn’t begin to dsescribe it. I had 2 bowls, and so did my friend, for whom I demonstrated this recipe as a cooking lesson. The remainders, as much as I wanted to keep them, I packed up for my friend and my pregnant sister who lives 5 min away, as a supreme treat for tomorrow. I suspect I will be making it again within the week. Great recipe. Used Reisling for the white wine (1/4 cup) and the result was outstanding. Easy to follow and achieve success! Thank you Jenn. I loved this soup – the flavors and texture were perfect. My husband isn’t really a bean guy and didn’t love it the first night, but liked it a lot more as leftovers the second night. I couldn’t find the French green lentils and just used regular brown lentils and it came out great. Will definitely make again! Great recipe! My family love this winter soup. As usual, this recipe is over the top good! outside of an extra clove of garlic, I followed Jen’s recipe to the letter and the flavor is amazing. We had a return to sub freezing weather again today and this soup hit the spot. Great tip on buying the MINI bottles of wine. grabbed a 4 pack of pinot grigio on the way home and just a little left in the bottle for the cook. This recipe is exactly like my grandmother’s soup that she made when I was little. I add a parmesan cheese rind to the soup at the beginning and fish it out before serving. It freezes exceptionally well so I usually make double the recipe. Hi Jenn. I’d like to add ground turkey. How much of the salt would I have to add? Hi Catherine, are you saying that you’d like to substitute ground turkey for something else in the recipe? This is a great soup and easy to make. Flavors are grand. My only complaint is that it barely fed four, which has absolutely nothing to do with the quality of the recipe. Everything recipe of Jenn’s I’ve tried has been good. This is no exception. Give it a try. You won’t be sorry. Great recipe. So delicious. For vegetable fans you can easily double the vegetables and add extra drained diced tomatoes and even red peppers. It is also so flexible! I’ve made this recipe many times with pancetta, bacon and even ham… I used 1/2 cup red lentils in a pinch which worked out so well to help thicken the soup. Great soup for a hearty lunch or dinner. My favorite winter soup – flavor is absolutely delicious! I would recommend reducing the amount of salt, otherwise don’t change a thing! Great weeknight supper, then again the next day in the kiddos thermos for school lunch! I’m too lazy to dig out the blender so I just pulse my soup wand in the pot a couple times before adding the pasta. Delicious! Incredibly delicious – no leftovers in sight. I followed the recipe exactly except I used a can of fire roasted tomatoes, and I may have blended a little too much of the soup (which only impacted the final look slightly – making it a bit more murky.) Would definitely make again. This is great dish, for this time of year in New England, very satisfying. I used a whole can of diced tomatoes, instead of a cup, otherwise followed the recipe. I usually serve with a good loaf of bread. Made it twice now and my husband always goes back for seconds. Enjoy! I love this recipe!! I have made it a few times now and it turns out perfectly every time!! I follow the recipe just like it is written! Thank you for this wonderful recipe!! I made this after a friend raved about it. I wasn’t familiar with pancetta so accidentally bought the thinly sliced kind which still worked – but I’m grateful for the photos so I know what to buy next time! I also used gluten free pasta, and (for the first time) no one in my family complained about it. I think the other flavors made it undetectable. My 7yo, who complains about everything, still complained about this — but he also ate it. Success! Oh, and I used parmesan b/c I forgot to get parm reggiano so I had to add more salt to boost the flavor. Phenomenal. So many of your recipes are off-the-charts good, but this is love and hominess in a bowl. My husband loves it, too. Whenever I tell him I’m making it his eyes glaze over. Excellent recipe. I’m not a big fan of bean based soups, but this was delicious. I used bacon and pork stock (its what I had in the house) and added 1/3 cup of frozen baby lima beans (my husband’s favorite), but I think its the fresh rosemary that really makes this soup so good. Oh my! Couldn’t get enough of it! Yes and Yes! Hope everyone enjoys :). My Italian boyfriend was not convinced that his Korean American girlfriend could make a presentable pasta fagioli especially since I don’t say it right. Fazhoul? He was suitably impressed though. I made as directed except that I had half required pancetta and cooked down tomatoes for 5 mins before adding broth, beans etc. I find the secret to soup is to be patient with each ingredient addition to allow flavors to develop. Yes it’s slower but it yields a flavorful result. Thanks for this great recipe. I will definitely make this again. Best Pasta e fagioli recipe I’ve tried! Made per directions but added a Parmesan rind while simmering. I made this and it was delicious–perfect for lunch on a cold day. I followed all instructions as stated, but felt it needed a little extra acid at the end, so stirred in a little bit of red wine vinegar before serving, and it did a great job to brighten it up a bit. Will definitely plan to make again. This is a staple around our home! This recipe is perfect just as it is and needs absolutely no tweaking. Unless you have special dietary needs, do not substitute any of the Ingredients and definitely don’t skimp out on using high quality ingredients. I’ve made this particular recipe for when we have visitors come over and I get nothing but compliments. The last time I made this we made garlic and white wine mussels with homemade cheesy garlic bread to dip in both the soup and mussels sauce. It seemed like an odd pairing at first but it turned out to be a wonderful dining experience. Having to take out some of the soup and blend it and then replace it may seem like tedious work but when you do it and see the beautiful consistency the soup gets after, you wouldn’t have it any other way. I love making it and I will keep making it for years to come! I’m vegetarian and was struggling to find a substitute for the pancetta. So I just made the recipe without the pancetta and it was delicious! The flavors are so delicious. By far the best Pasta e Fagioli soup I’ve ever had. I like Olive Gardens but this has so much more depth of flavor. And may I suggest that no one leave the lentils out. It does add something to this soup. Delicious! I love this soup! It’s become one of my favorite go to soups to make and eat. I have a hard time finding pancetta so I substitute bacon instead and it works great. I also have been adding rotisserie chicken in to make it a little more hearty (it is already without the chicken). Overall great recipe as is or you can add to and substitute to still make it great! This soup as is was perfect and delicious! I doubled the recipe as I made it for a friend and her family as she’s battling cancer. Also brought them the focaccia Jenn has on her website. Got continuous raves! I have made this soup three times since discovering it……my husband and son (fiancee included) love it!!!! I shared the recipe as well as the web site with my son (visiting from Bay area for holidays). Easy to make, and easy to make substitutions. (Used Great Northern beans instead of cannellini beans)….I doubled this recipe the last time I made it because it is that good! Regarding pasta fagioli– Made b4 from your site but misplaced recipe. Glad to have found it again! Using pancetta , green lentils & rosemary ,made soup company special—better than Nonnas! Love it!! My family actually asks me to make the “olive garden” soup. I substituted kidney beans for the lentils and love the addition of the parmesan cheese. As with all your recipes it was easy to follow the instructions and the pictures are icing on the cake. I have a folder in my computer just for your recipes. I know I can always ciunt on them and even make them for first time for company. Many thanks from me andmy family. Would the lack of bacon/pancetta in this recipe lessen the flavor of this soup. I keep kosher. Btw, I love your recipes and us them frequently. Hi Esther, so glad you like the recipes! It’s fine to omit the pork; just add a bit more olive oil. The soup will still be delicious. Hi Jenn- Curious to see if it makes much of a difference with beef broth or if I should omit any seasonings? I for some reason thought that’s what the recipe asked for and bought those instead of chicken broth. Appreciate the help! Hi Daryl, Beef broth should be fine here and no need to adjust the seasonings. If the broth is no low sodium, though, you could reduce the added salt. Delicious recipe. Used just the cannelini beans like in a typical recipe of fagioli soup instead of lentils etc. Hi SG, You could use a crockpot here but you’d still need to go through all of the initial steps on the stovetop, (and it cooks fairly quickly so not sure a crockpot would make sense for this recipe). This recipe was a huge hit with our family. We made it exactly as the recipe called for and would not change a thing. Thank you for a delicious soup that we will enjoy again and again….especially as the cold season approaches. Would guanciale work in place of the pancetta? Hi Liz, I haven’t used guanciale in this soup, but I think it should work. Wonderful. Thank you! I can’t wait to try this! looking forward to trying this soup . Love the idea of using lentils . I’m a chef and this is a lovely site. Beautiful pics and step by step instructions. Look forward to trying others soon. This soup is Amazingly delicious!! My family was quite impressed that I could create such a beautiful, flavorful soup from scratch. Thanks, Jenn, for making it easy for me to look good! I would recommend considering an edit to not list salt as a separate ingredient. I forgot to use low sodium broth, so my batch was a little too salty, but just barely, and the flavor, etc., so otherwise divine that it all got eaten anyway. Another favorite recipe – although the diced pancetta was difficult to find in my grocery store, so substituted thick cut bacon. Also, I’m too lazy to pull out the blender to puree a bit of the soup, so I quickly stuck my submersion blender in the pot, before adding the pasta. Perfect for a cold autumn/winter dinner. I see in the review/questions below that the soup does not freeze well. What if one were to freeze the soup without the pasta and then add the pasta to cook right before serving it? Wouldn’t that work? Thanks again. I haven’t made the soup yet but intend to and make it a vegetarian version for the Feast of Tabernacles we are attending this year. I will post back on the results. Sure Vickie, The soup freezes nicely without the pasta, so I just would hold off adding that until after it is defrosted. Hope you enjoy! I haven’t tried this yet, but it’s definitely on my list. I have a family that swells and shrinks daily, so when I make a soup with pasta, I cook the pasta separately. Pasta goes into the bowl, soup ladelled on top. If there are leftovers, The pasta goes into a quart or gallon-sized baggie. Next day, I set it on the counter while the soup warms, and let the soup heat it the rest of the way when I pour it over the pasta. Keeps the pasta from becoming mushy. *with a bit of olive oil in the storage baggie. It tastes great. I made much larger pot but ended up scooping pancetta out. I cooked pancetta for good 15 minutes over low heat before adding anything else. When soup was done, almost none of the fat was rendered end ended up with diced fat (pancetta) floating on surface. Was I suppose to render pancetta all the way (recipe calls for “start to render”) or I did something else wrong? Or maybe it was just bad quality pancetta? Hi Nikola, that’s strange as it sounds like you cooked the pancetta for more than enough time. My guess is that the pancetta was not of the best quality. Glad you liked the soup anyway! Question: Do you have advice / directions on how this recipe can be adapted for a pressure cooker? I have an electric PC (Instapot Duo) and would really like to try to make this in it. Thanks! Hi Greg, I don’t have any experience with a pressure cooker, so I don’t have any words of wisdom regarding using one for the soup- sorry I can’t be more helpful! I love your pasta e fagioli recipe. It is how I discovered your site. My wife is a vegetarian while the rest of us are not. I would substitute A mix of vegetable broth and water for the chicken broth. However I am puzzled what to do as a substitute for the pancetta. What is its putpose: saltiness? Add salt? Fat? Add a dash of olive oil? Anything else? Or am I off base? Hi Walter, You’re correct — a little extra salt and olive oil should do the trick. Please let me know how it turns out. “Best pasta e faglioi (pasta fazhool) I’ve ever made. Ever. The white wine did it. I made it vegan and about doubled most of the recipe — substituting sliced baby portabella mushrooms for the browned pancetta, using (2 quarts) vegetable broth and omitting the cheese; I used a can each of cannellini and lima beans, and a half can of dark red kidney beans — along with a full-sized can of diced, fire-roasted tomatoes, plus, I added sprigs of fresh thyme, some dried thyme and a few twists of an Italian seasoning grinder and a total of 5 garlic cloves; I also added a 3/4 of a diced yellow summer squash and half dozen diced new red potatoes for a bit more nutrition, as the soup was made as a vegan meal and not as a course. I also add kale or spinach near the end of cook time! i am trying to send this recipe to a friend and your site won’t let me send it. please advise. Hi Susan, This should be working now. Please let me know if you continue to have difficulty. Thanks! This was very tasty, my husband and I really liked it. I will definitely make it again. This is hands down one of the best soups I have ever made. Thank you for posting! I just made your Pasta e Fagioli and all I can say is “It Is Delicious”, “Best Ever”! I’m a fan! This soup is delicious! It is hearty and perfect for a cold day. It is great with a crusty white bread. This soup was wonderful. I doubled the recipe so I could have leftovers. I’ve tried several of your recipes and they are all great. Thank you! This was a hit with my three sons and husband. The meal was delicious and they even had multiple servings. This was delicious!! I couldn’t stop eating it. I love your website, everything I’ve tried has been amazing. This is a fantastic recipe! I’m a huge fan of pasta e fagioli soup in the winter, and I’ve made it a bunch of times but couldn’t find my recipe, so I decided to try this one – and it will now be my go-to! The main differences were adding onion and rosemary, and stirring in grated parmesan instead of just adding it as a serving topper, all of which give the soup a wonderful flavor and richness. I decided not to add the lentils because I like only cannellini beans in mine and didn’t want to change the flavor. I also used a pot that was a little too small, so I only added 4 cups of chicken broth, 1 can of cannellini beans, and 1/2 cup of pasta (gluten-free elbows so my husband could eat it too). I added a whole 14 oz can of diced tomatoes, since I didn’t want to measure out a cup and try to save the rest. And I skipped the puree step, partly out of laziness and partly because I found the soup plenty thick without that step. I’m sure the recipe is wonderful if you follow it to a T, but even modifying it slightly came out terrific. I’ve been enjoying it for lunch every day this week! My husband and I made this once and it was absolutely fabulous. Since it was so memorably delicious, I’m planning to make it for a bridal shower that I’m hosting for over a dozen guests! I think I’ll triple the recipe to be sure we have enough. Any ideal if I can just tripe the ingredients and make it all at once in a very large soup pot? Or, should I prepare it in single recipe sized batches? Thanks!! Hi Sara, I think it’d be fine to make one batch in a big pot; you may need to fiddle with the consistency a bit, but that’s easy to do by adding more broth or simmering it down. Amazing as usual. I should never expect any less from you. The only change I made was that I used red lentils and did not add the cheese. I was preparing to make this and I realized that I bought red lentils instead of brown. Will that matter much? It will be absolutely fine, although the red lentils will soften much more than the green. Enjoy! Thanks for your quick reply. It was excellent as usual. Your recipes are always reliable. Another perfect recipe by Jenn. This soup has SO MUCH FLAVOR. It will be a staple in my home for years to come. Pasta e fagioli is one of my favorite culinary memories of living in northern Italy. This recipe nails it. I wouldn’t change a thing. My adult children raved about it and wanted the recipe too. Kudos. Made this today…..this was excellent!! Loved it. Thanks! Delish!!! Made with turkey bacon and turn out great. Super easy too! I love that this recipe uses canned beans! This was a very hearty soup. I loved the flavors and pancetta added great flavor. Once again another great recipe. I love your website. Great recipe for Sunday nights and leftovers for weekday lunches. Can’t wait to prepare it this weekend! Delicious soup! Have made it several times and it comes together easily and tastes great. Could easily be made vegetarian by omitting pancetta and sautéing vegetables only. Love the heartiness that adding lentils brings; I usually add more than amount indicated and enjoy a thicker stew-like consistency or simply add more chicken broth to compensate. Thank you, Jenn, for your wonderful recipes! This is my first and favorite website search when I’m looking to try something new! This is one of my favorite recipes from your website (and that is saying something as all of the ones I have tried are really good)! I have made this recipe many times and recently made it for my parents. They loved it! My mom is Italian and gave it the thumbs up! She wanted me to make it again. Thanks for all of your great recipes! I made this soup today–substituted prosciutto for pancetta (because that’s what I found at the store) and used gluten-free elbow macaroni. This soup is delicious–very hearty with a great flavor of Tuscany! I’ll definitely make this one again. Thank you, Jenn. I made this soup recently and it was excellent. My husband recently went gluten free, so I skipped the pasta & made wild rice separately in chicken stock & just ladled the soup over a bit of rice in the bowl. My husband says it reminds him of navy bean soup Italian style. I used cannellini & garbanzo beans. Will definitely make again. Also, I did not puree a portion at the end & used bacon instead of pancetta, because that’s what I had on hand. This is a great hearty soup, appealing to children as well! This soup was delicious, and easy to make. i will be baking it frequently over the winter to help warm us up. The flavor is excellent and the richness of the soup itself is wonderful. any way to reduce the calories in this? Hi Barbara, You could cut amount of pancetta in half (but it does add great flavor :). Also, you could refrain from serving the soup with the extra olive oil and cheese. This soup is absolutely delicious! It is a perfect Autumn/Winter soup. The flavor is outstanding and it’s very quick to make, so it’s perfect after work meal if you haven’t planned and thrown something in your crockpot in the morning. I made this soup for My elderly Italian mother tonight. OMG she could not stop raving about how wonderful it was.!!!!! She said that in all of her years cooking, this has got to be the best version of pasta and fagioli she has EVER eaten. She passes on her compliments to you Chef ! She also said she could eat a bowl of this EVERYDAY!!!! Thank you for your talent and skills which you so kindly share with everyone. You are my go to internet chef ! AWESOME soup. My mom made this last night and I will definitely be taking a stab at it on my own. A little fresh french bread to dip is a nice addition. Just made this and it was delicious! I made it vegetarian, I can only imagine how fantastic it is with the pancetta ; ) Nice & hearty, exactly what I was looking for…changes I made: no pancetta, added some fresh parsley I had to the onions, carrots & celery, used water instead of chix broth (veg stock would be even better-didn’t have any on hand) and towards the end I add a frozen chunk of parmesan rind to add a little fat flavor. Am thinking about adding some spinach…but this is really a great recipe, will make again! What should you do if you don’t have a blender to make the purée? Hi Amanda, You can just mash some of the beans with a fork — it will work just fine. Potato masher. No muss, no fuss. Delicious for fall and winter. I like to add sausage as well, about 1/4 lb, to add a meaty depth. I’ve made this recipe a number of times, and it is always delicious. Paired with rosemary focaccia. Yum. I make very few substitutions. Easy and delicious. Will definitely make it again. I did not use lentils bc I don’t love them and the 2 cans of cannelini beans were plenty. This was so good! I have made a few things from this site and they have all been super. Thank you! What a great recipe for Italian comfort food! I have made this several times and my family loves it. Perfect as it, but I usually add a parmesan rind to the cooking soup which adds a little extra flavor to the broth. Simple and soooooo delicious. Wanted to make it a meal for my husband, so I added 3/4 lb cooked ground beef. He loved it. The Rosemary adds a nice subtle flavor to the sauce. It’s a keeper! This dish is wonderful! My husband of Italian decent says it’s better than his mother’s (shhh!). And my 11 year old made me stand up after dinner so she could hug me for this soup. No recommended changes to this recipe, it’s perfect. Serving it tonight to 15 people for Halloween. Thank you Jenn. Made this last weekend….my family loved it! Easy to make and tastes wonderful…you must try it! I made this soup a few weeks ago when the weather first started to turn colder. It was so delicious and hearty enough for a full meal. I loved it! Good flavors. Easy step by step instructions. I used regular green lentils and it did take 30 minutes for them to become tender especially at high altitude. This recipe is highly addictive! I used thick cut bacon instead of pancetta, and it turned out fine. The whole family enjoyed this meal! Because it is so hearty a side salad would be appropriate, and I’m thinking of adding another meat next time for extra protein. Overall, super yummy! This soup is delicious for kids and adult foodies. The wine and rosemary add so much flavor. The soup is hearty too. I already knew I would love it but my kids loved it too. They loved the pancetta, noodles, beans, and Romano cheese that we topped it with. They are picky eaters ages 7, 4, and 3. I felt like such a success after pleasing my hubby, kiddos, and myself with your delightful recipe. Thanks for sharing. We’ve made it several times now. Absolutely delicious! Everyone in my family loved it. I stumbled across your site a few months ago looking for a pancake recipe. I’ve since made several recipes – all of which have been delicious and instant hits with my kids and husband. 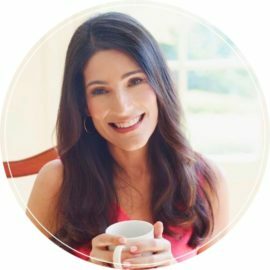 You are my “go to” resource for finding new recipes. I love how your site is organized with information about the ingredients and step by step pictures. Thank you for making dinner time so easy. I made this tonight-amazing!!! Sooo tasty! I used 1/2 tbsp of dried rosemary instead of fresh. We loved it! Thanks!! Excellent! I will definitely make this again! This soup was wonderful. I doubled the garlic, used the entire 14.5 ounce can of diced tomatoes (rather than throwing it out) and tossed in a Parmesan rind I had in the fridge. This will be placed in my tried and true file. This is the best soup!! I froze some and gave some to my daughter who doesn’t even like soup. Her words….”this is absolutely delicious”! Thanks Jenn for a delicious recipe. We thoroughly enjoyed it. Love this soup! Made it this past weekend for my parents and some drop-in brothers and we all really enjoyed it. I even forgot the parm (horrors!) and used bacon instead (didn’t have the correct stuff) and it was still amazing! The perfect recipe for a cool afternoon. Leftovers (with parm) were great as well. Thanks, Jen!! The bacon, rosemary, bay leaves and white wine is an excellent twist to the traditional pasta fagioli I grew up with. This recipe was a huge hit at dinner time!! Can’t wait to try your other recipes. This was absolutely delicious, like all of your recipes. My husband, 3 year old, 5 year old, and I all gobbled it up! Will definitely make again. Thank you! Hi Jenn! I have never commented before. However I think it is far time that I do. I have been following your page for about a year now and have made a number of your recipes. I use your page as a go to for meals now. I have loved most everything I have made. Many I have made over & over. So thank you! I made this dish tonight…it is a freezing cold night here and my husband got home very late from work. I had this soup on the stove. He loved it! So did I! I will be making this one again. I will likely make it again next week for when my in-laws coming to visit. They are a bit picky but I think this is something they would like. So nice to hear from you, Melissa! I’m so happy you’re enjoying the recipes. Please do leave comments — I love hearing from readers and appreciate any and all feedback! This looks really good, but I’m wondering if there’s a way to make this without bacon. I try not to eat pork. Hi Janet, It’s fine to leave it out; just add a bit more olive oil in the beginning. I haven’t tried this yet as we’ve been away, and it’s still very, very hot in the Caribbean. I can tell I am going to love this though with the pancetta and white wine. I’ve been disappointed with many other versions, as they’ve had very little flavor and sometimes to thick, and I would love the pancetta! I made this soup a couple of times toward the end of last winter and again just this past weekend now that it’s cooler weather. It is one of the best soups I’ve ever had or made — my family loves it! The flavors are fantastic, and when combined with the rosemary focaccia from this site, it is absolute heaven. Five stars for sure. WOW…made last night exactly as written except that I pureed the beans in the Cuisinart (much easier than the blender). I am not easy to pleas and this was a winner. My question, Jen, I froze the leftovers. Know that I will have to add chicken broth when I defrost and reheat. Will there be any chance in flavor or texture? Thanks. Hi Carol, So glad you enjoyed the soup! It will thick but easy to thin out, as you mentioned; and the pasta might be a little mealy but other than that it should be delicious. I also add some thick slices of procuitto and even more locatelli. Love! Love! Love! Reminds me of my grandmother’s! This soup is incredible. I have been making trying a new soup recipe almost weekly for the past 11 months–this one is one of my favorites. No modifications needed. My family and friends have raved about it. A keeper for sure! Great soup recipe. Didn’t think my family would like it without tons of meat, but they loved the rich flavor. This looks so good!! It has me thinking Fall. I can’t wait to try it! I’m giving it 5 stars because I’ve never tried anything of yours not worthy of 5! I love this response because I feel the same about Jenn’ recipes! Agreed on the 5 Stars, most especially for this recipe! This is THE first soup recipe for me that was absolutely perfect with no changes. I’ve made it three times, each time to raving diner reviews. Be certain to measure the ditalini/pasta to the recipe amt. The pasta really does swell up and helps with the little bit of gravy to thicken the soup just a teeny bit. Enjoy!! I’ve made a lot of stews & soups and I have to say that I really enjoyed the flavors in this one. Different from the usual so thank you! Very good soup and after refrigeration no accumulated fat in it! I left the pasta out for day 1 and paired with salad. Day 2, I added sliced boneless pork ribs (removing the fat took time) and the pasta and omitted the grated cheese and paired with grilled cheese sandwich for supper. Superb! Amazingly delicious soup. So much depth and flavor. Even my husband loved it and he is not a big fan of soups. Great recipe. I swapped turkey bacon for pancetta and it tasted good. Wonderful flavor! I did not use lentils but this dish is great without them. I’d love to try this but husband is allergic to peanuts and lentils. Just wondering if I could substitute something else in place of the lentils or if I should just leave them out? Hi Kathie, It’s fine to leave them out or substitute another bean. Enjoy! When soup is in bowl, before serving, what is the benefit of drizzling small amount of olive oil? I’d like to make a veggie version of Pasta e Fagioli. What do you suggest as a substitute for the pancetta/bacon or can I simply omit and add more veg? LOVE how this turned out and I have been making different recipes for pasta fagioli for more than 35 years. This one is by far the best. BTW, a very small amount of smoked sesame oil adds a nice smokey flavor in meatless versions of foods ordinarily prepared with bacon or other smoked pork products. This is another soup favorite from Jenn. In fact, I rotated this with her smoky lentil and vegetable soup over the winter. My husband loves it. It works well with any small pasta including Orzo and Ditalini and can be supplemented with any other veggies one has on hand. Really tasty. The only change we made was that we used gluten free pasta. Tasted just the same, we think – really flavorful. We love how you have such a great mix of flavors. Makes for a very interesting and enjoyable meal. Actually we make each of your soups for a week – put in some rice with some of the soup and heat up. So nice. This Pasta e Fagioli recipe was so quick and easy but my family thought I spent all day it the kitchen. I pureed a little more than the suggested amount for a thicker soup. Next time I will double the recipe! Delizioso! I followed the recipe, and found the taste to be perfect. I would recommend using a food processor to make puree versus a blender. The rosemary focaccia is the soulmate of this soup! Delicious! This is simple to prepare and very flavorful. I used a hand blender to purée the beans, and it thickened the soup well. My husband doesn’t care for lentils, so next time, I will omit them, but I expect it to be tasty, just the same! Not sure if you remember but I have asked your advice on a substitute for White Wine as we don’t use wine and you had suggested vinegar. I tried the recipe with it and it turned out awesome even without the wine. My daughters have been asking for it again. Will have to do it sometime soon. Thanks for a healthy recipe which is especially perfect for winters. Absolutely delicious soup! I loved the pureed beans as a thickener. I also added some chopped frozen spinach near the end to up the nutritional value of all these great ingredients, and it was wonderful. I should add that I couldn’t find pancetta at the TWO grocery stores I went to (what the heck?!) so I substituted bacon which was still delicious. Because how could bacon not be delicious. One of my favorite soups! I usually add sausage to give it more “meatiness” and usually only use white beans. This was absolutely delicious and hearty for those cold winter nights! I shared it with friends and they loved it too! Best pasta e faglioi (pasta fazhool) I’ve ever made. Ever. The white wine did it. Delicious, I tell ya. The broth was just sublime. Also added Lacinto kale at the end of cooking! This was an absolutely delicious hearty soup for those cold winter nights! This is a excellent recipe, using the blender to grind the beans makes it a the soup creamy and delicious. I did not have bacon so I used some slices of sausages, that I had in the freezer. It was wonderful, thank you so much! An incredible soup recipe! I made the Focaccia Bread the day before to go with it. Jenn, I have always made recipes when my husband was out of town on business which is often as I hate to have a failed recipe when he gets home as he eats out and just loves a home cooked meal when he is home, but everything I have tried of yours is so good that I made this without pre-testing and it came out awesome!! Keep the recipes coming. A perfect pot of soup sits on my stove…just finished,and waiting to cool…I never hesitate, at this point,to double the batch,knowing I will regret running out of whatever soup recipe from OUAC I make….and Ive made a BUNCH! This recipe is fantastic. Very flavorful. I need a new blender so I didn’t purée any of the beans and my husband doesn’t like lentils so I only used white beans. (Two cans) I also used a full can of diced tomatoes. Delicious!!!!! What would be the best substitute for the white wine? I was thinking either more broth or white wine vinegar. Hi Emily, You can actually just omit it. This recipe is wonderful! My husband wasn’t thrilled when I told him I was making it (he hadn’t been impressed with other versions), but this recipe won him over. I used about half red lentils and half green and used kidney beans instead of white beans. Wonderful – also tried it with shell pasta – undercooked the pasta a bit and it turned out great, not mushy. Outstanding recipe! My only recipe modification was to add the whole 14.5 oz can of organic diced tomatoes (Kirkland brand) versus just the one cup from that can. What a great soup, one that my neighbor also enjoyed so much he phoned us with his compliments! I am also very glad I measured the ditalini! They do swell a good bit. Thanks for this superb recipe and instructions. This soup was so great on a snowy evening and it was quick enough to make on a work night! Would it be as good done all in a slow cooker? How would you time it? Thanks for your site! Hi there, You could but you’d still need to go through all of the initial steps on the stovetop, and it cooks pretty quickly so not sure a slow cooker would make sense for this recipe. The soup is absolutely delicious….I used bacon instead of pancetta…second time making this, your family will love it. I can’t wait to make this! Any chance prosciutto would work instead of pancetta? Hi Janet, Prosciutto is not usually cooked; bacon would be a better substitute. Hope you enjoy! Greetings from snowy NH where we got 27″ of snow! Wonderful soup! Made this right before #Juno hit and it was the perfect comfort food to have during a blizzard! Thank you. This is just fabulous! Very different from what mom made, which I still love, but THIS ONE is so very tasty! Five stars for sure. Outstanding! I wouldn’t change a thing. The soup is so flavorful. I will be making this again and again. I’ve been making Pasta Piselli Soup for years since my mom is Italian and I was raised to cook Italian. Don’t know why we didn’t cook the Pasta Fagioli. One of the best soups I’ve eaten in a long time! I did substitute dried beans and chickpeas for the canned, though. The best by far Pasta Fagoli recipe ever ~ Perfect! I most usually am not a leftover fan but look so forward to having this soup with crusty bread 😉 I think it is even better the next day. Thanks for sharing! Made this soup on Sunday and had left overs yesterdays. Definitely a keeper! My husband loved it (and so did I)! Love your site. When are you going to have your own cooking show?! My husband and I are huge fans of your recipes! Keep them coming. I just made the Pasta Fagioli and it was delicious but I will make a few changes the next time. I try to use very little salt in recipes so the 1 teaspoon of salt was a concern and can easily be reduced to 1/2 tea. since the pancetta is a salted meat. I love the flavor of rosemary but 1 TBS seemed a bit overpowering and I will try 2 tea. next time. I used immersion blender and a small bowl to puree the bean mixture, quick and easy. Next time I allow 50 minutes for the cooking time. Instead of putting a cup of beans in a blender can you use an immersion blender in the pot, for a bit, to puree the soup? Hi Paula, Yes that’s fine but just be sure not to overdo it; it should be just barely thickened. Got this recipe in my email and tried it right away. So glad I did. Very simple to throw together. I had everything I needed already. Turned out fantastic. The small amount of pancetta adds so much. Very rich and complex without a long list of ingredients. Plus the leftovers are even better! That goes into my favorites binder and will become a regular in our house. Thanks. The bread makes an entire sheet pan…freeze half of thatas well. Excellent soup! I’ll be making it again and again. My husband loved it too. It’s delicious right away but just as good in the days that follow. I used ditalini which held its shape. French lentils were wonderful. Wish I’d doubled the recipe! I’m sure it would freeze well. Have you tried? So sorry, Renee; just now seeing your question. The soup freezes well without the pasta, so I would hold off adding that until after it is defrosted. Just cooked this for lunch today… It was so delicious! The kids loved it too. I left out the pancetta and the garlic (I’m intolerant to garlic, how sad is that? ), but it was still very flavorful. Thank you Jenn for another great recipe! Hi Jenn, only have dried great northerns. Any problem switching them (after soaking) for the cannellini beans? Love, love your site. All the recipes I have tried have been wonderful. Thanks! Hi Sue, Those are fine — if fact, you can use any beans you like. Hope you enjoy and thank you for the feedback! This looks awesome–on the dinner list for next week! Is the pasta starch important for thickening the soup, or could the pasta be cooked separately and added at serving time? I like to cook ahead on Sundays for the week, but I hate the way that the pasta drinks up the liquid (and then gets all bloated and mushy). Thank you! Hi Emily, I have tried it both ways and it works just fine to add the pasta later. The soup will thicken up a bit more anyway if you make it ahead of time. You might even hold off on the second can of beans until you reheat it; I find the beans absorb some of the broth too. The soup looks amazing BUT the amount of sodium is way over the top. Is there any way to reduce the sodium? Hi Phyllis, Yes, you can use no sodium chicken broth, canned beans with no salt added and reduce the salt. Hope you enjoy it. Perfect timing when I saw this in your enewsletter. I need to cook some freezer meals for my 91-year-old Dad this weekend and am definitely going to make him this! He’ll love it! Thanks so much for sharing the Pasta e Fagioli recipe. I can’t wait to try it! My grandmother made the best Pasta e Fagiole and we enjoyed it so much. Will let you know how it turns out!